Experience the stunning beauty, the unimaginable vastness, the open plains at Nxai Pan, the world-famous Moremi Game Reserve & Khwai River Area and the untamed wildlife of the Chobe River and Chobe National Park. 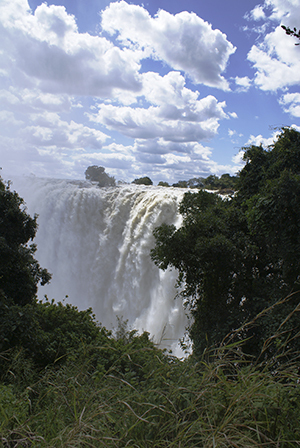 Your journey then takes you to Hwange National Park before ending at the spectacular Victoria Falls. 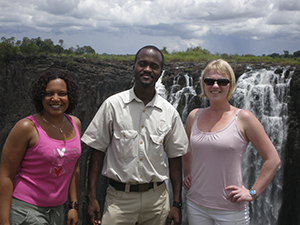 A small group lodge safari from Maun to Victoria Falls through Botswana and Zimbabwe. Planet Baobab, Nxai Pan or Ntwetwe Pan Victoria Falls, Sunset cruise on the Chobe River, Game drives in Moremi National Park, Khwai and in Chobe National Park. 9x Breakfast, 6x Lunch, 6x Dinner. Where included most breakfasts and dinners will be enjoyed in the restaurants of the various accommodation establishments, however on certain nights the guide will provide an authentic meal for the group, which will be enjoyed together in the evening, often around a camp fire. Please advise us of any special dietary requirements in advance. SAFARI COST: $2,720 per person sharing, plus cost of flight from Khwai to Kasane. AIR COST: $370 per person, subject to change. On arrival into Maun Airport, you will be met by your guide and continue onto the area of the Makgadikgadi Pans. After settling into our accommodation, we take a stroll with our guide through the surrounding baobab grove, as he explains the local ecology, geology and the unique biology of the baobabs, which are in fact not trees but the largest succulents in the world. 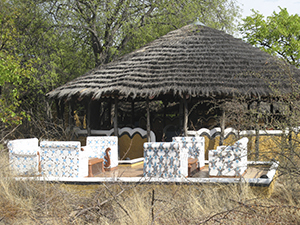 Overnight: Planet Baobab or similar (Bakalanga huts with en-suite bathrooms, swimming pool & bar). Meals: Lunch prepared by the guide. Dinner at Planet Baobab or similar. An early departure takes us West towards Nxai Pan National Park. 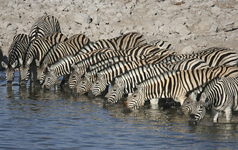 Nxai Pan adjoins the Makgadikgadi Pans National Park on its northern border. The pan itself is a fossil lake-bed about 15 sq. miles (40sq. km) in size. Covered in nutritious short grasses and small islands of acacia trees, Nxai Pan attracts vast numbers of desert herbivores such as gemsbok, springbuck, and extraordinarily large herds of giraffe, upto 30 in a group! In the South of the park are Baines’ Baobabs, a cluster of millennia-old baobab trees, named after the famous artist who discovered them in 1862, Thomas Baines. It is rare to see Baobab trees so close together and as one was growing on its side, Baines named his painting 'The Sleeping Five'. The famous explorers: The Green brothers passed this way too and to this day their inscription into the bark, 'Green's Expedition 1858 -1859, can clearly be seen. We return to the lodge in the late afternoon after exploring this unique area. The Ntwetwe Pan is one of the two major pans that make up the Makgadikgadi Pans, and is amongst the largest saltpans in the world. The pan was fed by the Boteti River until it was left permanently dry following the construction of the Mopipi Dam, which provides water for the diamond mines in Orapa. The waters may have returned to the river but Ntwetwe is now famous for its extraordinary lunar landscape, particularly the rocky outcrops, dunes, islets, and channels found along the western shore. We explore the area, in search of uniquely adapted desert species such as bat eared foxes, springbuck, kori bustards, and some of the Kalahari’s most fascinating inhabitants, the meerkats. We return to the lodge in the afternoon with some time to relax by the pool. Meals: Breakfast at Planet Baobab or similar; Picnic lunch; Dinner at Planet Baobab or similar. 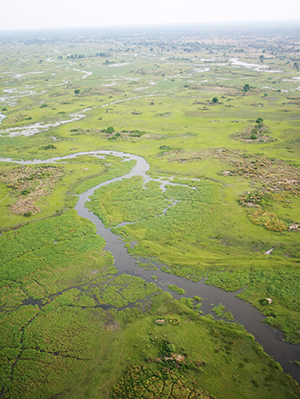 This morning we travel via Maun, the gateway to the Okavango Delta, to our camp, which is situated in a private concession in the Khwai River region. 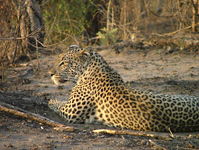 This large area is renowned for its concentration of mammals and it is not unusual to see many different types of wildlife during just one game drive. 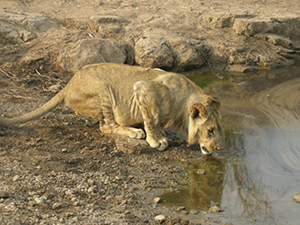 Game viewing is seasonal; depending on the time of the year you may see different species in different areas. 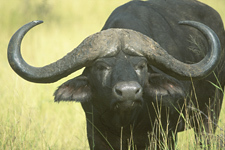 The best time for game viewing is the end of the dry season or spring from August to November. During this season, in order for us to offer the best game viewing possible, extra driving may be required due to the animals migrating closer to the river. In the summer, birdlife can also be viewed in abundance with exceptional sightings of wildfowl and raptors. After dinner, we will explore the concession on a night game drive. Meals: Breakfast at Planet Baobab, Lunch and Dinner at Khwai Bedouin Camp or similar. Meals: Breakfast at Khwai Bedouin Camp or similar, Lunch pack on game drive, Dinner at Khwai Bedouin Camp or similar. You will be transferred to Khwai Airstrip for your flight to Kasane (For your own account). On arrival you will be met and transferred to your lodge. 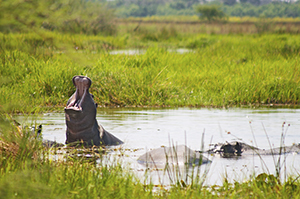 We enjoy a boat cruise on the Chobe River in the afternoon from where we can watch elephants, hippos, crocodiles and a variety of birds without having to reach for our binoculars – you’ll be near enough for close-up photographs, as well as having the chance to witness a spectacular African sunset. NOTE: The cost of the flight from Khwai to Kasana is quoted separeatey -- see air cost quoted above. Meals: Breakfast at At Khwai Bedouin Camp or similar, Lunch and Dinner are on your own account. 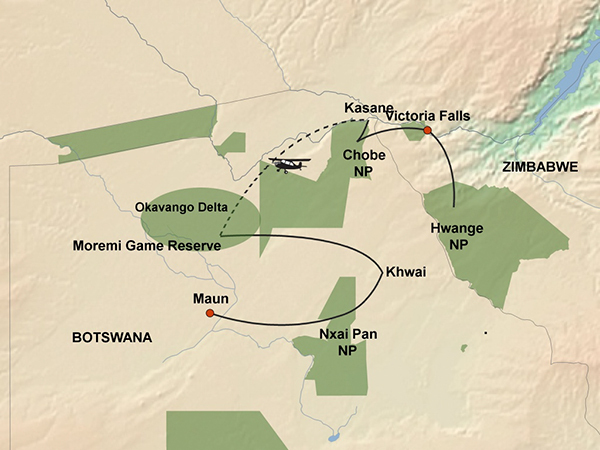 This morning we depart Chobe and make our way to our lodge in a private concession near to Hwange National Park. The next two days are spent exploring this wildlife rich area. The first afternoon you can partake in an optional game drive if time allows. On the following day, we will have plenty of time to explore this vast wilderness on a game drive. 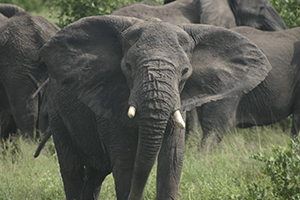 Hwange National Park is one of Africa's finest havens for wildlife and is home to vast herds of elephant, buffalo, and zebra and has a very large concentration of giraffe. It is also home to many predators and endangered species plus varied birdlife. We will also visit the Painted Dog Conservation Centre to witness the work that is done to protect these endangered species. Meals Day 6: Breakfast at Chobe Safari Lodge, Lunch prepared by guide en-route, Dinner at Sable Sands or similar. Meals Day 7: Breakfast at Sable Sands, picnic lunch on game drive, Dinner at Sable Sands or similar. Overnight: Ilala Lodge or similar (rooms with en-suite bathrooms, swimming pool, bar & restaurant). Meals Day 8: Breakfast at Sable Sands, Lunch and Dinner on your own account. Meals Day 9: Breakfast at Ilala Lodge, Lunch and Dinner on your own account. Today we leave Botswana behind us and come to the place where we started this trip full of real African experiences – Victoria Falls. You the rest of the day at leisure or to partake in one of the many optional activities. (For own expense). Meals: Breakfast at Chobe Marina or similar, Lunch on your own account, Dinner on your own account. Meals: Breakfast at Ilala Lodge. Accommodation as mentioned in the itinerary, all transport in fully kitted 4x4 safari vehicle, game drives as mentioned, meals and activities as mentioned in itinerary, park entrance fees, experienced local guide. The Botswana Lodge Explorer departs from Ilala Lodge or similar. Fully equipped Toyota Land Cruisers, 12-seater 4x4 safari vehicles or other appropriate vehicles with comfortable seating, large windows for game viewing, a music and PA system and air-conditioning. All luggage, besides hand luggage and photo equipment, is carried on the vehicle or trailer roof racks to ensure maximum comfort in the vehicle. 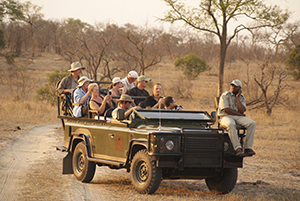 Some game drives may be conducted in open-sided safari vehicles. For transfers between Kasane and Victoria Falls (or vice versa), 2x4 vehicles may be utilised. We make use of mid-range typical African standard lodge accommodation. Accommodation is situated either in national parks, on the banks of a river, or in other places of interest. The accommodation will be a mix of lodges, chalets and tented camps with en-suite bathrooms. Some properties are equipped with swimming pools, restaurants and/or bar areas. 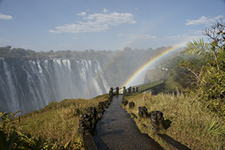 The onus is on the client to organize all visas required to visit Zimbabwe, Namibia & Botswana prior to departure. Kindly remember that a multiple entry visa would be required for Zimbabwe & Botswana should clients partake in our Botswana Lodge Explorer scheduled tour.